Mission: Founded in 2013 by Fide Dayo, ADCF’s vision is to raise awareness about African Cinema, its vast potentials and the socio-economic impact it has not only on African economies but gradually expanding to other parts of the world’s economy as well. Our aim is to use cinema to create a revolution that will change the social and economical horizon of Africa. 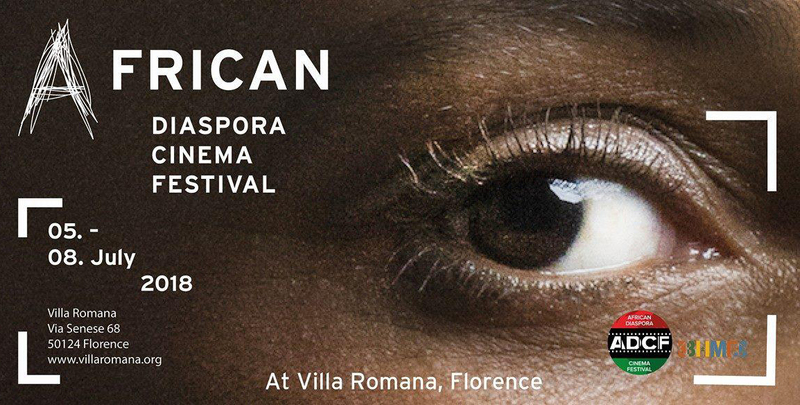 Stop Human Trafficking is the theme of the African Diaspora Cinema Festival, a theme that draws on the principle that being African is a bond that goes beyond geography, birth or lineage; as people of African origin are spread across the globe and Africa is also proud home to many non-Africans. Africa has been able to capture the world’s attention through its ancient cultural heritage. With films it will have the power to connect people from around the world. Motivation: Film is a powerful platform that is able to attract and engage people in constructive activity and providing enjoyment, enlivening spaces, and enriching lives. Film and art can lead to a better understanding and foster communication between peoples of diverse culture. ADCF is rising from the ashes in a difficult moment in which corps of thousands of Africans flow like water in the Mediterranean Sea. In a moment of racial intolerance, in a moment people are not only rebelling about the lack of jobs, but equal opportunity and fairness before the law. Also in a moment our stories are not being heard nor told in public spaces. As a part of the ADCF we present a roundtable dedicated to a conversation around Human Trafficking, moderated by Balkissa Maiga, Actress and Cultural mediator. 2018, GN, doc, 44’50’’, engl. 2017, BR, doc, 82’4’’, engl. 2016, ET, doc, 12’15’’, engl. sub. 2016, MG, doc, 25’, engl. sub. 2017, ZA, doc, 39’59’’, engl. 2017, KE, feature, 62’28’’, engl. sub. 2017, CU, doc, 10’21’’, engl. sub. 2017, RW, doc, 11’12’’, engl. sub. 2017, NG, feature, 90’, engl. sub. 2017, US, short, 15’, engl. sub. 2017, BF, doc, 71’32’’, engl. sub. 2017, US, doc, 30’, engl. 2017, CF, doc, 30’, engl. sub. 2016, CA, feature, 94’, engl. 2016, FR, short, 20’, fr. 2017, GH, doc, 13’, engl. sub. 2018, US, short, 15’, engl. 2017, GH, short, 30’, engl. sub. 2017, NG, short, 25’35’’, engl. 2017, UG, feature, 109’’15’, engl. 2017, FR, short, 25’, engl. sub. 2018, SN, short, 17’11’’, engl. sub. 2016, NG, feature, 98’, engl.